Raise your hands if you want Free Video Calling feature in WhatsApp. I am in, and I think most of you people. 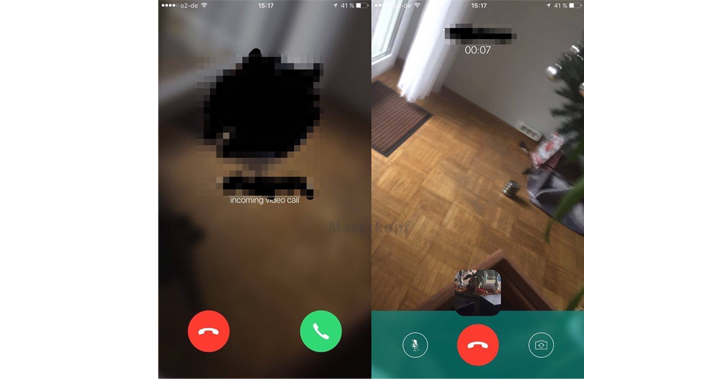 And the good news is that it looks like WhatsApp's much-awaited Free Video Calling feature is on its way, according to the recently leaked screenshots. German technology blog Macerkopf.de has posted what it claims are screenshots from an unreleased version of the popular messaging client WhatsApp for iOS. The screenshots are from an unreleased version of the software (version 2.12.16.2), which is currently being tested internally, but at present it is not clear whether or not those screenshots are legitimate. 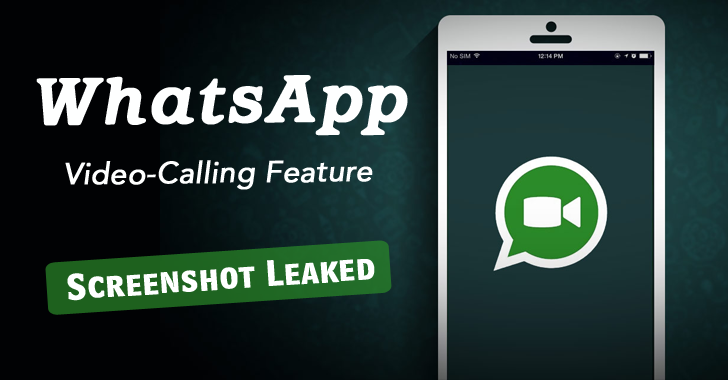 But, if the leaked screenshots are real, and WhatsApp adds the Free Video Calling feature, then the company could take an enormous bite out of some of its top rival. WhatsApp Video Calling feature will allow you to make video calls to your friends and family anywhere in the world for free as long as you have a Wi-Fi network or an effective data plan on your registered number. WhatsApp has added several new features to its messaging service in order to enhance the user experience. Just this year, WhatsApp finally added free voice call feature, and with the launch of video support, the messaging app will more firmly lock users into its ecosystem.